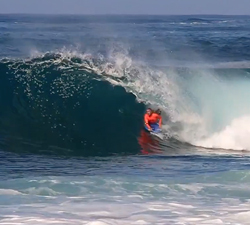 Jacob VanderVelde tunnelling through some secret Hawaiian zones. Filmed and edited by Chris Kincade Photography. Bomber Eyewear presents: 60 seconds of perfect pits with Jacob Vandervelde, bodyboarding at home on Oahu. “After a brutal injury of my hip being dislocated along with months of therapy to only need surgery after. 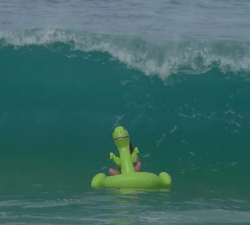 Jacob Vandervelde pulling into some thick Keiki wedges before he got injured. Video and Edit by Chris Kincade. 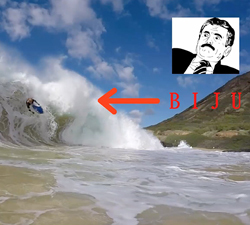 Jacob VanderVelde reveals one of the problems when tackling heavy shorebreak + a bonus clip with a few extra thick ones. Bomber Eyewear presents: 60 seconds of summer fun with Jacob Vandervelde, bodyboarding at home at Sandy Beach. Chris Kincade Photography presents a short clip featuring Jeff Hubbard and Jacob Vandervelde going ballistic on the north shore! 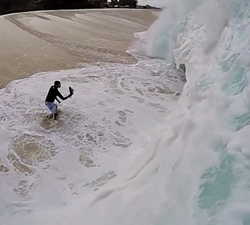 Some great GoPro POV action shots from Jacob VanderVelde, bodyboarding and shooting at home on Oahu.